Origami Carnation from The Origami Garden. Mother’s Day is fast approaching (May 8th 2016) so come and join me at the Minneapolis Craft Market on April 24th at Lakes and Legends Brewing Company and fold a beautiful little flower that will make your mum smile! This is one of my own designs inspired from Egyptian mural paintings and is published in my recent book The Origami Garden. 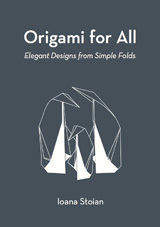 Kathleen Sheridan from Origami and You and I will be holding free workshops at 1pm, 1.30pm, 2pm, 2.30pm and 3pm. We will also have copies of both The Origami Garden and Origami for All available for purchase – a perfect gift for this time of year!